Nokia's chairman has pointed the finger at his predecessor over the mobile phone maker's fall from grace in a book that has reopened old wounds in Finland, where the company remains a source of national pride. Nokia was the world's largest mobile handset maker and Europe's highest valued company at its peak, accounting for about four per cent of Finland's economic output. But it failed to recognise the threat to its existence posed by the rise of touchscreen smartphones after Apple launched the iPhone in 2007. It has since sold off its handset business, with thousands of jobs lost along the way, and is now focused on telecoms networks and licensing its technology patents. 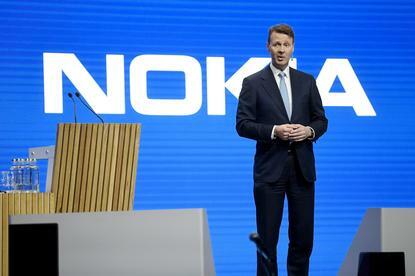 Nokia's decline was partly down to a lack of entrepreneurial leadership and the failure to face up to bad news, according to the book by Risto Siilasmaa, Nokia's chairman, who joined the company's board in 2008. Named "Transforming Nokia: The power of paranoid optimism to lead through colossal change," the book has made headlines beyond the business world because of its attacks on former Nokia CEO and chairman Jorma Ollila. Siilasmaa said Ollila, one of Finland's best known business leaders who once considered running for president and is also a former chairman of Royal Dutch Shell, was quick-tempered and spread fear in the organisation, which curbed open discussion and led to a reluctance to share bad news. Siilasmaa said Ollila also sought to prevent his election as chairman in 2012, and yelled at him over phone when he briefed Ollila the following year about the plan to sell the handset business to Microsoft. "Our conversation followed the usual pattern: I tried to be polite; he exploded and yelled that I had ruined his legacy," Siilasmaa wrote. Ollila, now 68 and retired from frontline business, was Nokia chief executive in the phonemaker's heyday from 1992 to 2006, a year before the iPhone's launch, and then served as its chairman until 2012. In Finland's Helsingin Sanomat daily he said that Siilasmaa, 52, was exaggerating with his accusations and had trouble understanding that running a large global company was different from managing a small company. Siilasmaa is the founder of Finnish cyber security and privacy company F-Secure. Under Siilasmaa's command, Nokia ended up selling the handset business to Microsoft in 2014.